Yesterday I got an invitation to the opendev conference (September 7-8, 2017) from the OpenStack foundation. The conference is about edge computing. While the topic itself is very interesting I was surprised that the opendev will be held in the U.S. (San Francisco, CA). I thought the foundation would have learned a lesson from the Boston summit this year. And as far as I understood it they decided to have currently no summits in the U.S. anymore until the political climate changed to allow risk free travel for all community members (see Kurt Garloff's talk at DOST around 8:45min). But it seems this applies only to the summits, very inconsistent! Some people would call it slightly duplicitous. In light of the OpenStack Foundation's decision I'm still proud about the Ceph community. They decided with a clear statement to not held any event in the U.S. that requires travel for community members from foreign countries while there is the risk to potentially suffer harassment, digital privacy violations, or rejection at the border. 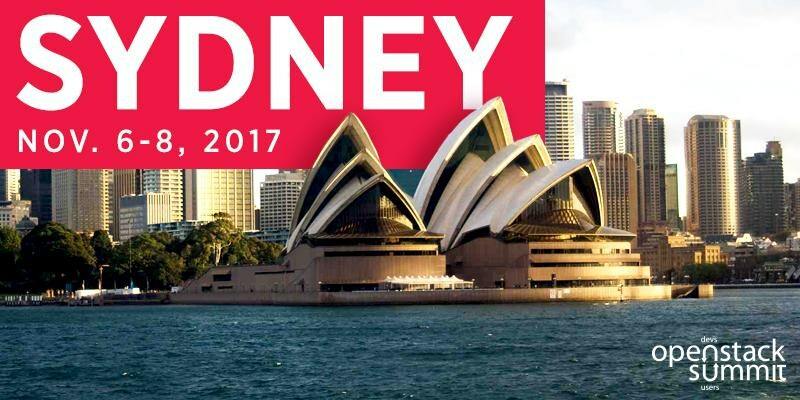 A short reminder: the "Call for Presentations" deadline for the next OpenStack Summit in Sydney, Australia (November 6-8, 2017) is less an a day away. If you would like to present in Sydney submit your proposal till July 14, 2017 at 11:59pm PDT (July 15, 2017 at 6:59am UTC).